This is the seventh class in our yoga for gratitude series and will focus on gratitude for thought. Drawing on book two verse 33 and 34 of the yoga sutras we will focus on cultivating the opposite when our thoughts are filled with self-judgment, criticism, shame and unworthiness. 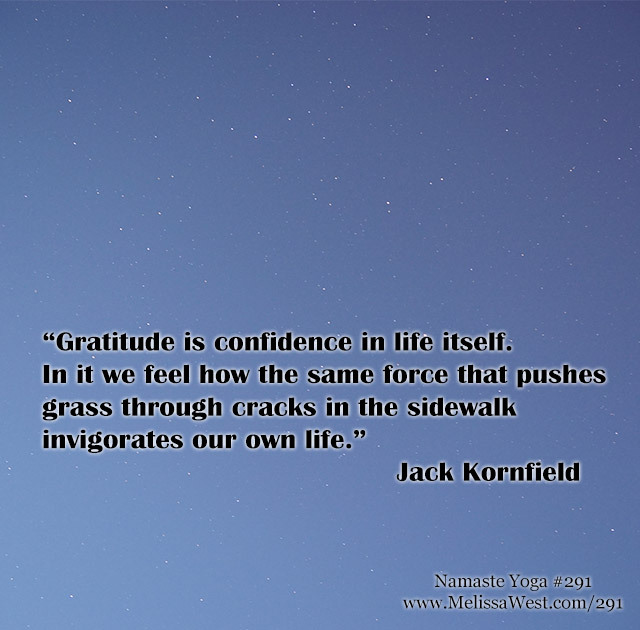 This class is inspired by the gratitude and compassion teachings of Jack Kornfield. II: 33 When presented with disquieting thoughts or feelings, cultivate an opposite, elevated attitude, this is Pratipaksha Bhavana. II: 34 The desire to act upon unwholesome thoughts or actions or to cause or condone others toward these thoughts or actions is preventable, this is also Pratipaksha Bhavana. One of the ways we can cultivate the opposite thought is through gratitude. Cultivating gratitude can be an antidote that transform your unhealthy, destructive, negative thoughts. It is a way to change the channel. 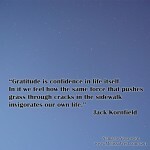 The new phrases of gratitude can be the healthy and simple phrases. Continue to sit with ease and dignity in your body. Allow yourself to be comfortable, open, and breathe with a free and easy heart. Let your gratitude to begin with yourself, and acknowledge that all these years you have cared for your own life. Reflect on how these teachings touch you in your life right now. Form an intention of what you would like to receive from this class. What are you creating, sustaining, releasing or rebirthing in your life right now and how can your yoga practice help you do that? The yoga postures and asanas in today’s class will release your neck, shoulder and hip joints. 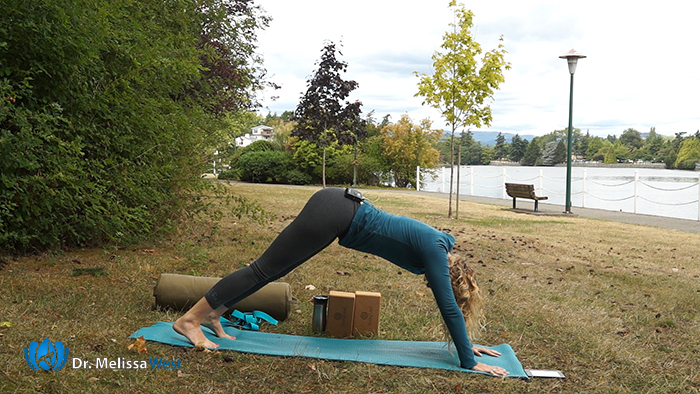 They will creates flexibility in your hands, wrists fingers, wrists, and shoulders as all as your ankles, knees and hips.. Our peak postures today will benefit you ankle, knee, hip, wrist and shoulder joints. We will go through several yoga postures that will alleviates stiffness in your lower back and some kinds of backache. You will stretch your hamstrings, calves, and inner thighs, chest, lungs, shoulders and abdomen. Yoga postures will strengthen your spine, firm your glutes and stimulate your abdominal organs. The postures in this yoga class help to relieve arthritis pain in your knees and hips. They relieve back pain and stiffness between the vertebrae of your spine and can be useful for slipped discs. There are also yoga postures that help to reduce blood pressure. 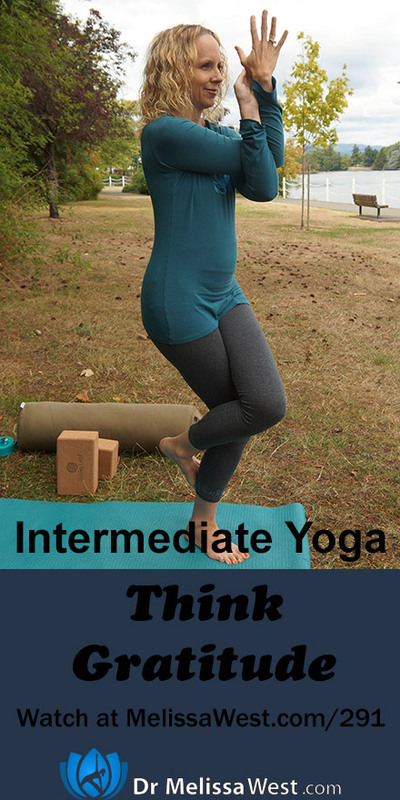 The yoga postures will help you with balance and strength in your legs and ankles. They will help you to align your pelvis. They will also increase the elasticity of your spine, tone your spinal nerves and improve the overall functioning of your spinal cord. Overall we will be focusing on yoga postures that will calm your mind to reduce stress and anxiety. Yoga postures for balance, will clear your mind, and create focus. Forward folds and inversion will calm your mind and help you open and balance your intellect, wisdom and intuition as well as help to relieve stress. Final savasana will bring you into a deep, meditative state of rest which will release stress and anxiety and balance vata dosha. This introduction to meditation will take you step by step through the process of learning to meditate in a non-intimidating environment. 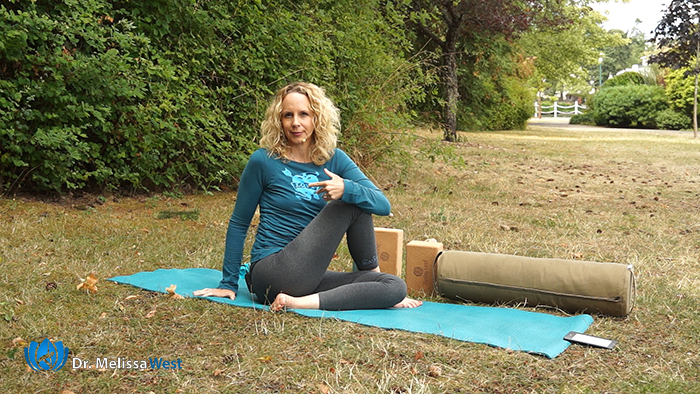 The series begins with a short yoga class to prepare your body for seated meditation. Then you will move on to a short class which explains different sitting options for meditation along with a short meditation focused on the sensations in your body. The following classes introduce you to short meditations which focus on your breath and teach you how to be with your thoughts during your meditation. The series concludes with a famous yoga practice called candle-gazing meditation.